Coming straight from the river bottom, these beautiful, round, multi-colored stones come in two different sizes: 2-4″ and 6-8″. 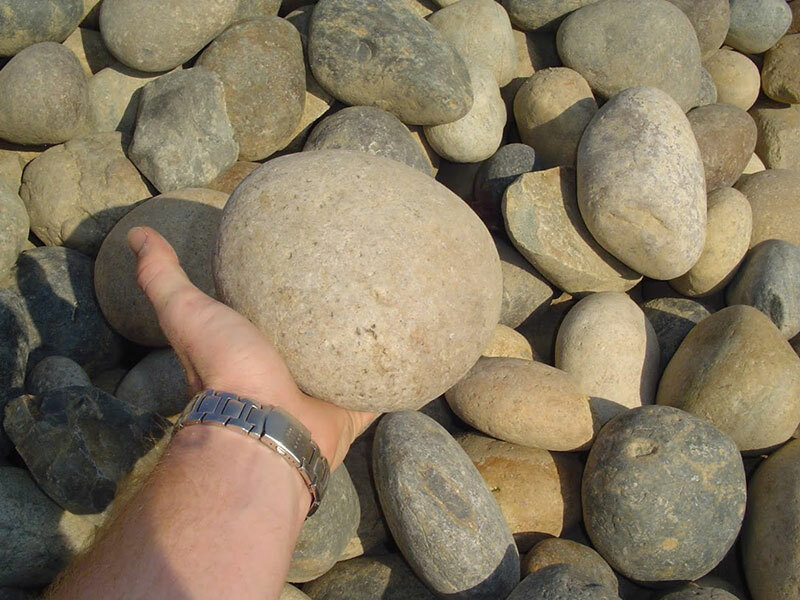 6″-8″ River cobble provides a natural look for any pond or dry creek bed. For flowerbeds that receive a lot of leaves, river cobble is great because the gardener can’t rake, or blow, them out. River cobble will also deter most pets from digging in the flowerbeds.